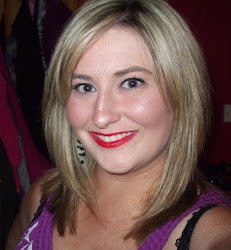 Last week I blogged about my newest red lipstick acquisition from the Riri Loves MAC limited edition line. Today the spotlight is on the cream colour base in Diamonds. I don't own any other MAC cream colour bases, but this one stood out to me when I saw it in store, and I got it in my maiden order with Brown Thomas. Delicately encased in the signature Riri Loves MAC rose gold packaging, this is a stunner if ever I saw one. The colour of this is a gold/champagne/beige hybrid I believe. It's more metallic than I would have imagined, and instead of a sheen, it leaves a glittery, shimmery glow. The texture is obviously creamy and it does not dry to a matte finish- it stays wet on the face, and would need to be set with a powder if you wanted to achieve a matte effect. I would only wear this with fake tan because I personally find it a little too warm for my pale pale complexion, and I would only wear it on my cheeks for glam nights out because it's a bit too shimmery for me to pull off any other way. Because of the versatility of the product however, I would also apply this to my brow bone, cupids bow, inner eye or down the bridge of my nose for a subtle candlelit glow. I would say it's more frosty and metallic than dewy and glowing so I would bear that in mind if you were thinking about parting with some of your pennies for this. On the plus, this is buildable and you can apply this either as sheer or as opaque as you wish. I personally prefer to sheer it out considerably. I find it also lasts longer the sheerer I apply it. Overall, I liked using this product, but it's not something I would rush to use. Maybe it's down to my ultimate preference of powders over creams- I'd be much more inclined to use my Bobbi Brown Shimmer Brick in Beige over this MAC offering and the results are pretty similar. If you were to purchase, it would cost you €22. So, on this count, it seems that whilst Riri loves MAC, Aisling only likes this product. This looks nice, but as you said seems to glittery.... I would use it as you for highlighting!! Nice review though! Can you guess the winner of the best and worst sample? nice product for ladies nice shades.